Last week, while riding MARTA to work after Atlanta’s first ever tropical storm (caused by Hurricane Irma) swept through the region, I sat across from a woman appearing to experience mental illness. The sound of her shrill laugh permeated the train car as she raised her arms wildly in the air during the East-West ride to downtown Atlanta. Her wide open, ragged roller bag, obviously too difficult to zip alone, exposed what likely was every bit of clothing she owned. Without saying a word, two polite strangers on the train worked together to zip the bag shut so that her personal belongings would not be strewn across the platform as she exited the Five Points station platform. How many times have you noticed a person experiencing homelessness in our community or perhaps stopped to offer them a helping hand? Each day while driving into downtown on the Juniper/Courtland corridor or driving on Peachtree Street at the intersection of Pine Street, we see dozens of people congregated around the Peachtree-Pine Homeless Shelter which is slated to close. While this shelter has had its challenges throughout the years, my personal experiences make me wonder what these folks will do and where they will go when it finally closes its doors. How will we as a community come together to connect the passion of our citizenry with the purpose of ending homelessness in our region? As of September 1, Atlanta’s Peachtree-Pine Homeless Shelter, a “low barrier” shelter stopped accepting newcomers. Hundreds of person’s experiencing homelessness will have to find a more permanent bed of their own. Low-barrier shelters accept people as they are and provide a safe place to spend the night when they have no other options. Many people who stay in “low barrier” shelters are chronically homeless, lack regular access to healthy nutritious food, and suffer from physical and mental illness, drug addiction and other chronic diseases. These neighbors in our community often face life’s most difficult challenges all alone. 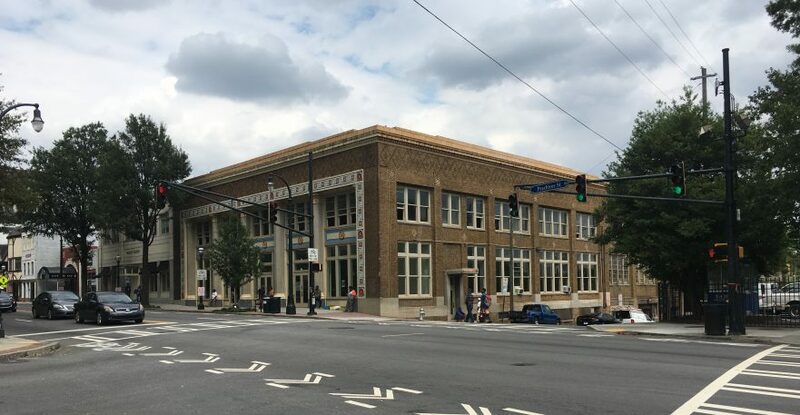 Ownership of the building, which has housed the shelter for more than two decades, was transferred to Central Atlanta Progress (CAP), downtown Atlanta’s improvement district, on August 28, 2017. Plans are to eventually close the shelter, but CAP will continue to operate the facility as a homeless shelter until all who currently stay there are provided with access to the resources and care they need. United Way’s Regional Commission on Homelessness (RCOH) will oversee the facility with assistance from several government agencies and nonprofit groups. In addition, Partners for HOME, a public-private partnership that the Community Foundation for Greater Atlanta helped establish, is bringing resources together to create and implement a collective strategic plan called Atlanta’s Continuum of Care. This plan is funded with a Housing and Urban Development (HUD) grant and will support those experiencing homelessness at Peachtree-Pine in finding the services they need. Partners for HOME works with nonprofit, government, and business leaders to zero in on a shared, consistent and measured approach to create housing solutions for everyone. Coordinate affordable, permanent housing efforts in the city. Our opportunity is clear and the challenge is great. We invite you to provide a matching gift to HomeStretch. Currently $18.5 million dollars has been raised toward the city’s match. Until we reach the $25 million mark, every dollar contributed will be matched to support homeless citizens impacted by the closing of the Peachtree-Pine Shelter. Please contact your philanthropic officer to discuss a matching gift that will help close this funding gap. We invite you to read more about the type of organizations and programs that will be funded below. Project Community Connections strives to permanently rehouse individuals and families experiencing homelessness into decent, affordable places to live and thrive. The organization offers housing options and collaborates with community and human service organizations to provide ancillary services that promote personal and economic self-sufficiency. The following services move people into appropriate housing as efficiently as possible: Housing Assessment, Housing Counseling, Housing Advocacy, Housing Locator Services, Landlord Liaison Services, Financial Assistance and Case Management. The Living Room ensures stable housing and improved health through housing support for people living with HIV/AIDS. Living Room believes that a permanent and safe home is critical to the physical and mental well-being of a person or family living with HIV/AIDS. Recognizing housing as a fundamental right and key component of living with dignity, Living Room works to enable individuals and their families to find and maintain affordable housing. Gateway Center (GWC) works to end homelessness through therapeutic programs and community collaboration. GWC is a keystone project of the Regional Commission on Homelessness’ effort to impact chronic homelessness. It is designed to serve as the “gateway” to the community continuum of care that helps individuals move out of homelessness. GWC provides 338 places for men who enter into programs geared to address the underlying reasons for their homelessness, such as unemployment, addictions, mental illness or domestic abuse. Hope Atlanta offers an array of services including shelter and other emergency services and permanent supportive housing, case management, street outreach, homeless prevention, domestic violence services, Veterans services, HIV/AIDS services, reunification and rapid re-housing. The Salvation Army doors are open every day and night of the year. This organization offers emergency housing facilities, homeless shelters, transitional living centers, group homes, and family shelters. In addition to supplying shelter from the elements, beds, food, and basic hygiene resources The Salvation Army combats long-term homelessness, targeting homeless adults, veterans, and children with holistic physical, emotional and spiritual support. Nicholas House helps homeless families achieve self-sufficiency. It provides supportive services through a shelter located on Boulevard Avenue, the scattered-site apartment rapid re-housing program Homeless to Homes (H2H), and newly launched New Horizons program for chronically homeless families. All families have up to two years of follow-up support after leaving direct services. Nicholas House understands that providing basic subsistence – food and shelter – is necessary but not sufficient to prevent most homeless families from becoming homeless again. Crossroads Community Ministries began over 40 years ago when a member of St. Luke’s Episcopal Church handed a homeless man a sandwich. Today, they are a refuge for homeless in Atlanta, offering compassion with constructive programs designed to give people the tools needed to get off the streets. Crossroads provides: meals to men, women and children who are homeless; MARTA passes for employment-related and medical emergencies; a mailing address—a critical first step to end homelessness; support in acquiring state issued IDs and birth certificates; assistance in finding detox and treatment programs; and assistance for women and children to find safe, affordable housing. Action Ministries is a nonprofit that provides an extensive network of community partners and volunteers with the tools and expertise to lead fellow Georgians out of poverty. By meeting basic needs of hunger relief, housing and education, Action Ministries removes barriers that prevent people from breaking the cycle of poverty and realizing their potential. Our House is an early child care and education center targeting homeless women. It offers children and families experiencing homelessness the tools, support and education needed to thrive. By tackling homelessness at its source, Our House helps the generation experiencing homelessness today, and break the cycle for those most likely to experience it tomorrow. Atlanta Mission works to end homelessness, one person at a time, via a holistic approach — addressing the physical, emotional, and spiritual needs of guests. The organization has five facilities, each serving the needs of different segments of the homeless population. It serves men, women, and children who have lost jobs, faced eviction, have been abused and battled addictions, fought mental illness and more. Mercy Care is a Federally Qualified Health Center and Atlanta’s only Healthcare for the Homeless program (330h). Mercy Care offers comprehensive services that meet the majority of primary physical and mental health and wellness needs. Services are planned and delivered by a team that works together for each person’s health. Services include primary medical care for adults and children, primary dental care, vision care, mental and behavioral health assessment and counseling, prescriptions, health screenings and health education. Community Advanced Practice Nurses believes access to health care ​for families and children without homes is fundamental ​​to empowering people and restoring communities. It provides physical health care (e.g., pediatric care), mental health care (e.g., substance abuse services), and patient education (e.g., healthy eating). Community Friendship, Inc. is a nonprofit psychiatric rehabilitation organization that ensures a supportive community for adults with long-term psychiatric disabilities so that they can develop living, learning, working and social skills and access the resources needed to lead successful and satisfying lives.